This nail art is over a month old. I have been saving it for a day when I needed something to fill the slot but then I did so many challenges last month that I never used it. 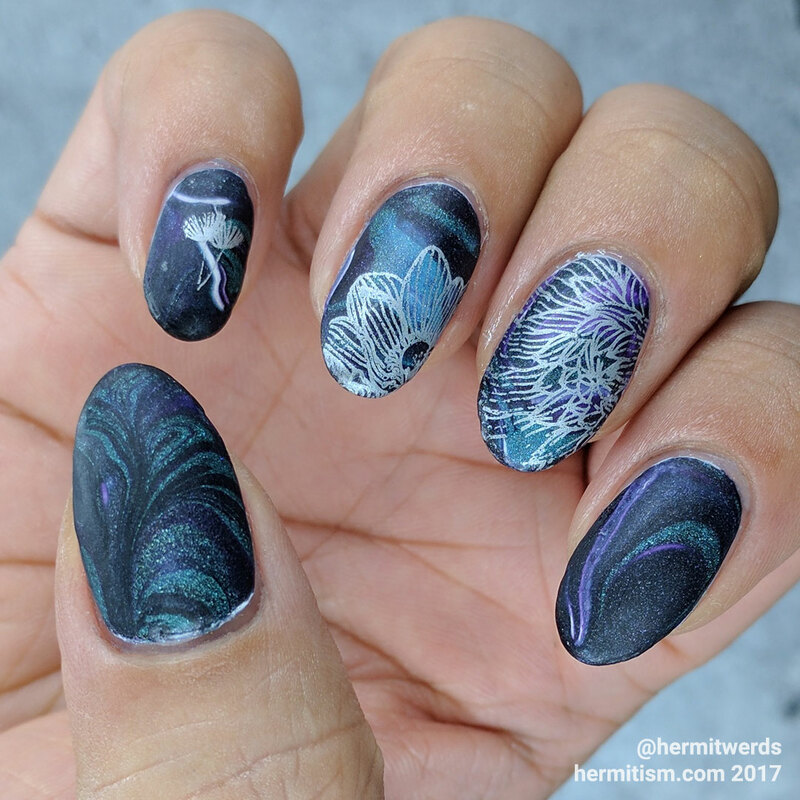 Now is the prefect time since I need a water marble for #31DC2017! When I found out that Hot Topic had holographic polish for $5/each, I went out that very week to acquire them. They swatched well, but I wanted to put them to the test. Now I am not very good at water marble yet. It requires more practice and better temperature conditions and it was way too hot in my craft room. Heck, I’m having problems with normal nail art. I suspect these polishes will water marble better than my results show. I believe the teal spread out the best and the blue spread the least. 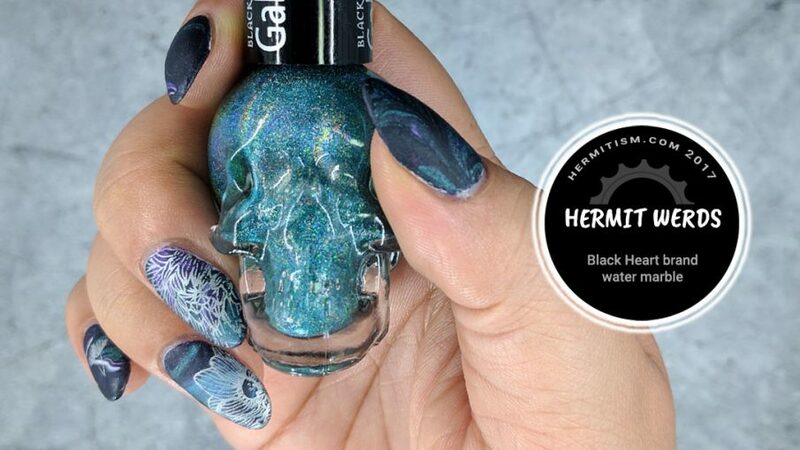 I do not dunk my finger while the water marble is wet, but wait for the polish to dry and dice it up to put on my nail like a decal. I waited a little too long and it got a bit crispy and cracked in a few places. I was planning on stamping over some of the nails anyway, so it wasn’t too big of a problem. I am particularly fond of my thumb and the way this looks matte. Items being used for the first time are in italics. I like the thumb too. This could make a cool starry night theme. Do you have some kind of stargazing stamp?